Dock Walker provides the connection between yachts around the world and crew seeking positions onboard. 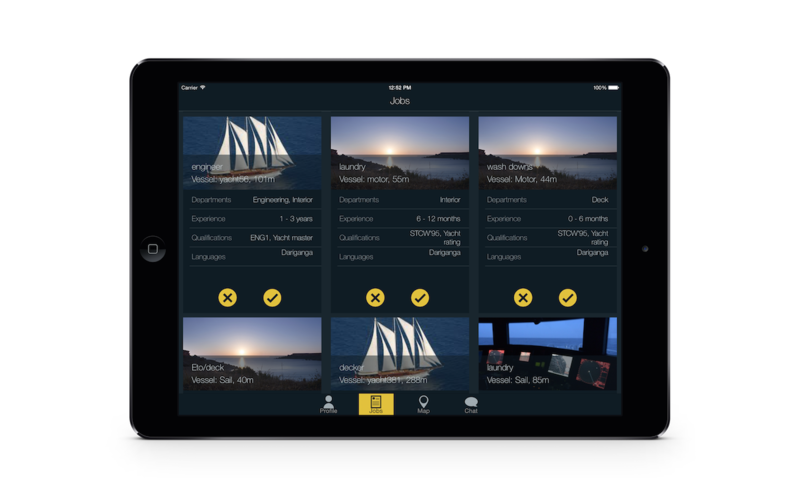 Preview yacht and crew profiles, then connect directly to the chat function to organise the right Dock Walker to get everything looking Ship Shape before that next guest trip. This mobile app is available natively on iOS and can be downloaded for free from Apple’s App Store. Apart from the development and programming of the functionality of the app, Vioside is also the agency that provided Dock Walker with the design of the brand and the full development of the backend system. The app has also been designed to work beautifully on Apple iPad. 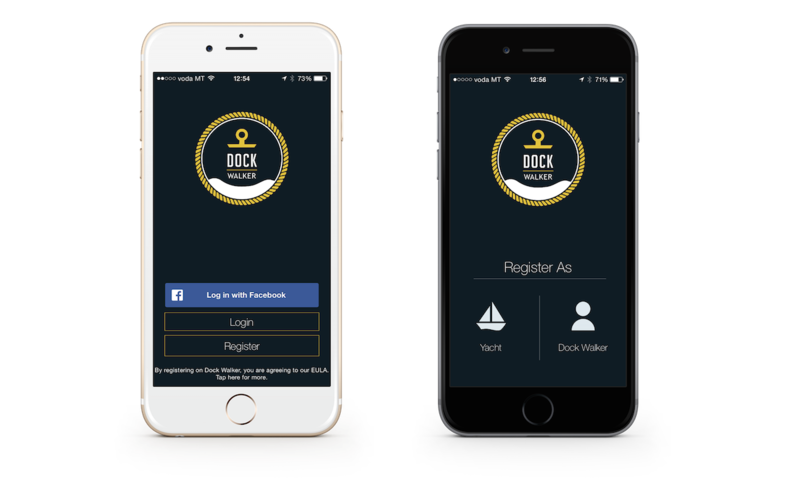 The app takes 2 types of users, the “dock walkers” who are newcomers and/or job seekers, and “yachts” who are responsible for publishing job opportunities and find potential employees. This is the first step of the app which asks for registration and necessary details to get going. In both cases, the app starts to identify possible matches nearby (using Geolocation to detect an approximate location) and presents the result in cards which one can swipe through, accept or decline. When one accepts, the other party will receive a notification after which he/she can also accept or decline. If both parties accept, these users can start chatting using our messaging system. The messaging system presents itself in a neat chatting interface. Messages are passed through the server and delivered using push notification systems. 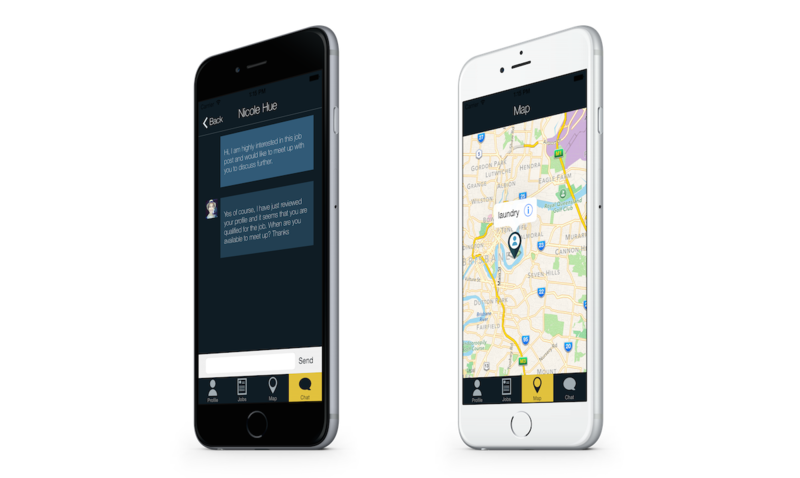 This chatting system will allow users of the app to communicate and set up their own meetings to get to work.